A Different Look at the 53 ……. Well finally we’ve gotten thru the four preseason games and now they move on to the cuts and finalizing the 53. You have to look to these games to separate players in the decision process. That goes for all teams, but this year, due to a few key injuries, decisions have to be made that protect them at those positions at the expense of players they’d love to keep. My guess is that a few players will be one’s they’d have liked to have kept. One thing you have to take away from preseason games, in watching the 1’s, 2’s & 3’s is the wide gap between them. Let’s take a closer look at these decisions these coaches have to come to grips with by Saturday at 1 PM EST. 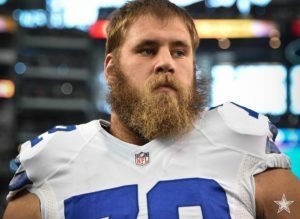 The first and a most painful one on several levels is the issues with Travis Frederick. Your heart and prayers have to go out to him. My guess is that they put him on IR after the original 53 is done. Then they can sign one additional player to fill out the roster. But that does hurt to have to hold the roster spot for that one day. Travis can be designated for return in 8 weeks. Now, they may have a better feel for his treatment and recovery, that compels them to keep him on the 53 until and if he’s able to play. But I think they’ll put him on IR. Interesting that they traded, CB Charvarious Ward last night during the game and picked up an offensive lineman, Parker Eringer, from KC. Ward showed potential and may have been kept at the last CB spot, but an offensive lineman is a big need. I was a bit afraid of them trading Jordan Lewis for a true starter quality offensive lineman. Takes a starter to get a starter, I get that. But a strength of the defense lies with Chido, Jordan & Jones on the back end. Didn’t want to see that trio broken up. Getting a drafted player in Eringer (4th round) for an UDFA, has some merit. But at this point in time, we’re also picking up someone unlikely to make the KC roster. 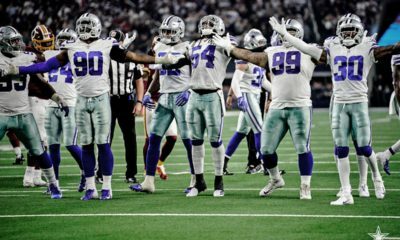 We got to see the back up line most of the preseason and really, they were dreadful making it difficult to impossible to evaluate the skill players at QB, WR & RB. Kadeem Edwards appeared to be the last offensive lineman to make the 53 at guard, but the trade for Eringer may change that. I don’t see Chaz Green surviving cuts, mercifully! They have to go with Fleming as the swing tackle given his experience. These two positions (G, OT) are at risk and why the trade for Eringer. He was picked, right after Tapper and ahead of Dak in 2016. He has a few starts in his career before a knee injury, but he can play both guard and tackle and they appear to think he could be a back up at center. That makes the one “get”, that can cover at least two spots a good move on paper. We should expect more trades here today. Hard to believe they’re done by any means. Should be a wild day here on Friday & Saturday morning. How y’all feeling about Cooper Rush & Mike White as back up QB’s? To be fair, trying to sit in the pocket behind the OL of 2’s and 3’s is no picnic and has to be factored into player evaluations. Can’t easily judge a RB w/o holes and hard to judge a QB when they’re under siege back there. That being said, I didn’t see any improvement from Rush and he got a shot in game 2 with some of the 1’s in front of him. There are two questions you have to ask in his case. 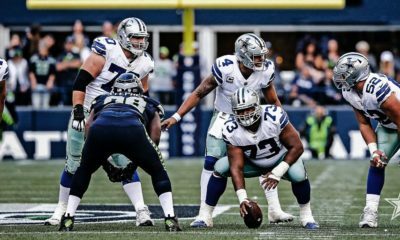 Are you (Jason Garrett) comfortable with Cooper Rush if Dak gets injured? Your season can go sideways w/o a decent backup, or haven’t we learned our lessons? I can’t imagine that privately, inside the building that Garrett is comfortable, nor do I see Jerry & McClay feeling good with him as “The” backup. Has he reached his ceiling? After a full season and this off season, Rush failed to show me any improvement. As for White, he played primarily with 2’s and 3’s and I thought steadily improved game to game. Can either really be this years backup? Who has the upside? My vote is to find someone, anyone with actual experience that may have won a game or two! McCarron jumps out at me, or RGIII that both fill the requirement to have actual game experience and have directed a few wins. Provided they are released by tomorrow. Now, if they elect to make that happen, then I’d keep White and see about his development and let go of Rush. Sorry, I’m just not seeing enough in him to continue keeping him. Last night Careon Reid, looked very good, showing strength we hadn’t seen before. Making one play after another at one point, but was it too little, too late? On the DL, it will be interesting who is on the bubble and who they wind up keeping. We know we have DL, Randy, Armstrong, Taco, Crawford, Woods and Collins as the apparent locks. Price has looked good enough to squeeze into that group. Then it comes down to Jihad Ward, Ross & Datone Jones as the bubble guys. Did Reid move into that group? I think they go with Jones based on his experience alone. But even Jihad made his presence known too. 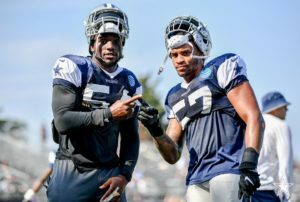 I’m not counting on David Irving this season. If he plays at all it could be a bonus as the man has talent and an amazing ability to get to the QB. Frankly it wouldn’t shock me that he doesn’t play until game 8 at best or miss the whole season. Realize he opted not to attend camp, although he was allowed to and now he gets the 4 game rip by Goodell. What kind of shape will he be in after all that time? Not counting on him. Tweets are out that Kony Ealy was released which you can see in I’ve written that I didn’t see him making the squad. When camp started there were people thinking Tapper had a roster spot and Randy would never make it. Surprised? Not really ….. Tapper has incredible speed for a down lineman, while Gregory has jets getting out of the blocks. Many stories question 5, 6 or 7 WR’s? Lance Lenoir has probably been the most productive all preseason, while Gallup the most impressive, but I don’t see him making the 53. It likely comes down to him or Deonte Thompson. I feel for Lenoir, but he doesn’t bring that special something, which Deonte has with speed in the 4.2 area. I question whether or not they intend to throw deep and stretch the field or not? 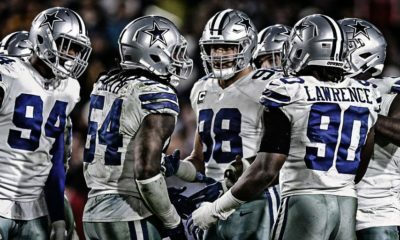 They really haven’t in the past few seasons as its not Dak’s forte to this point. Frankly there are many Lance Lenoir type wideouts and by no means am I downplaying his preseason performance. I don’t know that they would use him if he was on the 53. I’m trying to evaluate of the two, which makes the all important 46? Deonte’s extra gear has him on the 46 in my opinion or at least it should. I’m a huge believer in stretching the field as much as possible for Zeke. The more that’s accomplished then the offense becomes difficult to impossible to deal with. Think about this. If you put Tavon Austin on the outside in a 3 wide set to one side, do you think the defense has gone nickel and that the lanes open just that little extra for #21? Well having Thompson going vertical accomplishes much the same task. At linebacker, my take is that it promises to be the most depth with quality that we’ve had in quite some time. I’ll be shocked if Jaylon doesn’t have a terrific season! LVE has been sitting out and we won’t see him much early on. He’ll be limited to a few snaps at most in the first game or two. He’ll be worked into the rotation. My conundrum is whether to keep in the possible last slot, March-Lilliard or Covington. Given that Covington didn’t see the field that much due to an illness, March-Lilliard showed his experience. This one is on the coaches to make the call. I’d love to keep the rookie and see his development over a few seasons. But March-Lilliard is the player for the “now”, not the tomorrow that Covington brings. Given that there’s limited tape on Covington he may make it thru waivers and perfect for the practice squad. Now the safety spot, finds Xavier Woods and Kavon Frazier, nursing their injuries. A lot has been made of pulling the rip cord and trading for Earl Thomas. I, for one have been against that, well at least 98% of me. Thomas is a quality Pro Bowl safety, when healthy. But at this age and contract, those make me wary. Are we playing rent a safety for one year or looking to sign him for say, three years? 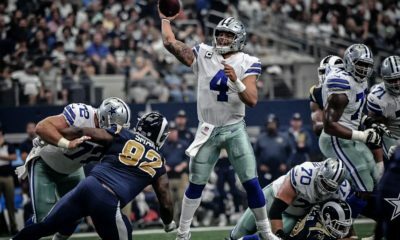 His contract would be tough on the cap and a new deal for him would be very tough on the team in the ensuing years as they deal with Dak & Zeke, to name just two players, who will be up for new deals. The player that impressed me at the position in the Texans game was Johnson, the new signee. He had been with Kris Richard before and knows the system used by Richard. 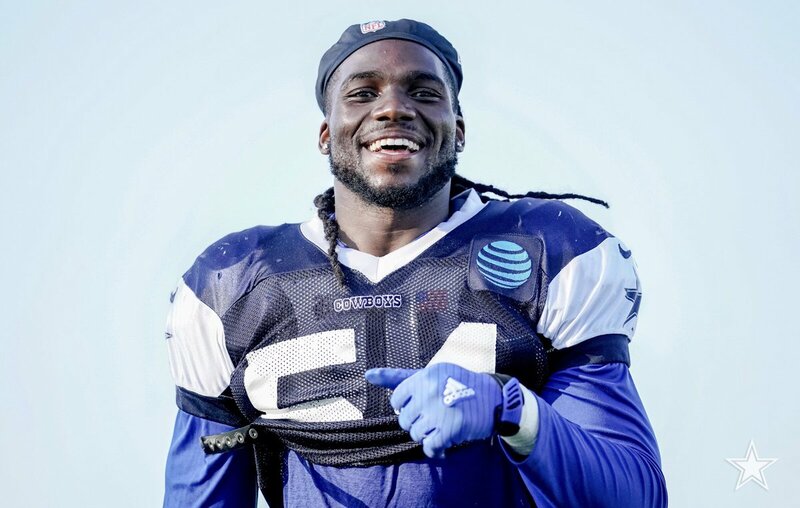 I’m expecting that Johnson is on the 53 as the 4th safety over any released unless they do make the decision to make that much discussed trade. 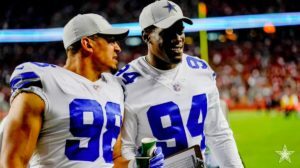 Finally, the question that seems to come up every year is do we keep 3 or 4 TE’s? If the players all put the same jersey number on, could you tell the difference between Swaim, Jarwin or Schultze? To me, they all do the same thing, built much the same, at about the same speed and I really have to look for their individual number to know who is out there or who made the catch. Rico represents the player with something “extra”. Clearly, he’s still learning the position. Struggles play to play to understand his role on a given play if you read the DMN. On one play his blocking looks adequately and on another play we find yellow colored laundry on the field. But is he the player to keep? If he is, does he see the 46 on game day? Or is it another year of scout team reps, then OTA’s, then preseason? Those are questions I’d have. I watched the teams roundtable discussing do they keep Schultze by virtue of his being a 4th round selection? Given that we have Swaim & Jarwin, both UDFA’s, I’d look to keep the player worthy and impressive enough as a 4th round pick. He has the same number of career receptions as Jarwin. If I’m taking a risk, I’d release Jarwin and deal with working on Schutlze and Rico. Now if someone releases a true blocking TE, then this changes things. 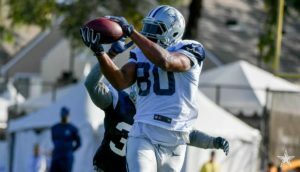 ***** Breaking News The reported arrest last night of Rico Gathers for marijuana possession flips the moves for the TE position at the very least and opens a slot for one of the bubble players at any of the other positions! It’s a real issue and concern that we have a few draft picks that are on the bubble in some capacity leading up to the final decisions. Schultze, Covington, Scarborough, White & even Darrius Jackson (2016) for that matter. There are reasons to cut each of these players if its all about the here and now, but in my eyes you have to look to the future at the same point too. Now each of them are 4th round or later picks and we’re not even counting Cedrick Wilson the WR on IR. I understand that this coach may not survive another season if he fails to produce what is minimally expected. However, you have to develop players and I’ll bang on that table for any of these players that showed their position coaches they have potential and a higher ceiling. If you don’t use the draft to improve you are destined to fail. That being said, LVE didn’t play enough to dazzle me and likely you as well. Connor Williams, appears to be a rock solid player in the making. Michael Gallup really is impressive to me when I watch him closely. He will be our #1 WR at some point in time. Those first three have the potential to be really good for us now and years to come, but I’d really like to get one or two more of those to be productive players in a year or two. To me that FA on a 1 year deal that was brought in for depth or as a bridge player, I’m not that keen on keeping at the expense of losing a quality draft pick. Love having a young player on a four year, non painful contract to the salary cap. Plenty to consider for this year and next. The Lights Went Out On Dallas! The Party’s Officially Over ……..
Defense Must Reign Supreme! Anyone Else Up for Watching Hollywood Cry? Keys to Victory! No D, No Rings ……. Mr. Automatic is Gone! Will Garrett be Next? Copyright © 2017 Cowboys Roundup. Tavarus McFadden- NCAA’s Best CB?